The moorland was filmed for the Bond film Skyfall. A seven-scheme hydro plan for “one of Scotland’s most iconic landscapes” was given full approval by a meeting of Highland Council, after a day-long hearing by councillors yesterday. Mountaineering Scotland last night called the decision for Glen Etive “disappointing”, and questioned the quality of protection for special landscapes. It said it will be asking the Scottish Government to review the decision. 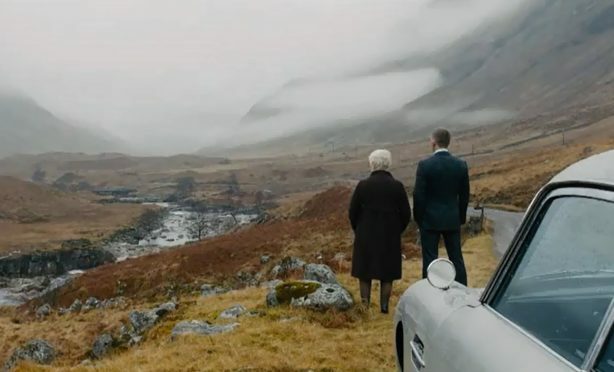 A special council meeting, members approved three hydro power proposals on wildland areas in the glen, made famous in Bond film Skyfall, and itself part of a National Scenic Area. At a prior meeting, held in February, all seven schemes for the site proposed by Dickins Hydro Resources Limited had been approved. But a call by Councillor Andrew Baxter for three of the schemes, proposed in a wildland area, to be reviewed by the full council led to the hearing yesterday. Yesterday, councillors heard that each of the three schemes being called into question – Allt Ceitlein, Allt Chaorainn and Allt Mheuran -would involve new road construction, bridge-building, trench digging, cement-pouring and power cabling, for less than one wind turbine, and to some this was considered a “relatively low power output”. Councillor Matthew Reiss said the local authority should put another turbine in the Moray Firth before destroying the wildlands of Glen Etive. Proposing to not approve the plans, councillor Andrew Baxter who promoted the special meeting, said: “From everything I have heard today, the permanent impact on this area can not be completely mitigated.